These are some of our most popular trips around Tibet. This is a great place for ideas...a place to begin planning a trip to Tibet that is all your own. Choose any one or a combination of these itineraries...or better yet, let's work together to create a custom trip around your interests. Email us or at puretibettravel@gmail.com and let's get started! Experience Tibet's rich cultural heritage from the spectacular Potala and the summer palace at Norbulingka to the great monasteries of Lhasa. 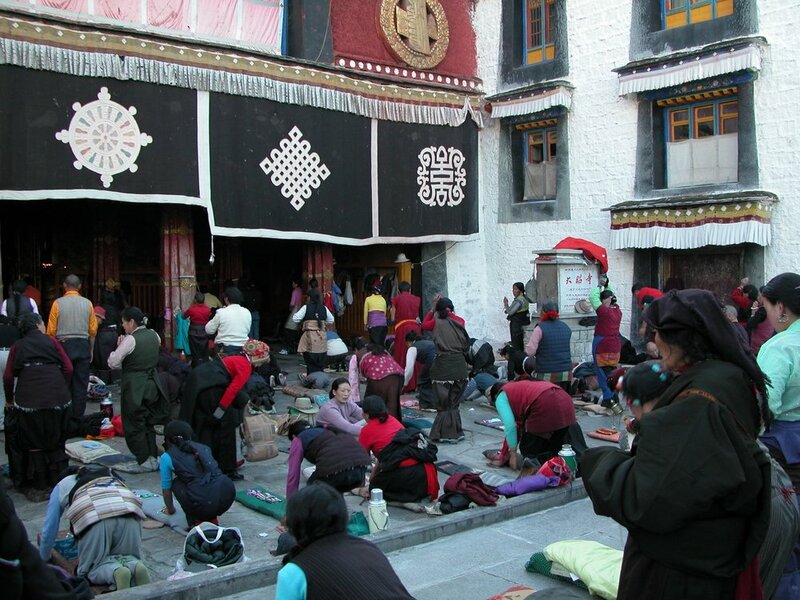 Extend your visit Lhasa to include the first capital of Tibet, Tsetang, and the first monastery, Samye. If you visit in August, you might be lucky enough to arrive at just the right time to see one of Tibet's traditional horse racing festivals in Lhasa, Gyantse, and more. Festival dates vary each year. Email us or at puretibettravel@gmail.com for exact dates. Let us know you'd like to be a nomad when you Email us or at puretibettravel@gmail.com. Tibetan traditions tells us that walking the "kora" around Mt. Kailash will wipe out the sins of a lifetime...no guarantees but you will have an incredible trip. Join us for a truly epic journey across the highest road in the world to the Silk Road capital of Kashgar, the largest oasis city in China's Central Asia. Add this on to your Mt. Kailash and Guge Kingdom trip and fly on to your next destination from Kashgar. Four or five days over rarely traveled highways and mountain passes, including views of the second highest mountain in the world, K2. Email us or at puretibettravel@gmail.com for more information. Begin this Grand Circle Tour as the Tibetan Plateau rises from the plains of China. We'll meet your flight from Chengdu at the Nyingtri airport. Our three day overland trip carries us through incredible landscapes on the way to Lhasa and on to Shigatse.